post a pic of selena in pink dress!! post a pic of selena in purple dress!! 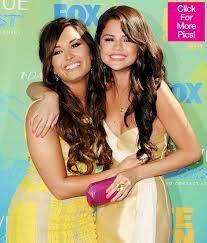 post a pick of selena and demi! !